The high energy radial shock waves scientifically proved to have a large impact on collagen structure and the skin connective tissue, improving blood circulation. It stimulates collagen formation, while the skin becomes more elastic and its firmness is visible after only a few treatments. The exceptional advantages are: painless treatment, no downtime after treatment, easy to operate, noninvasive treatment & visible results. 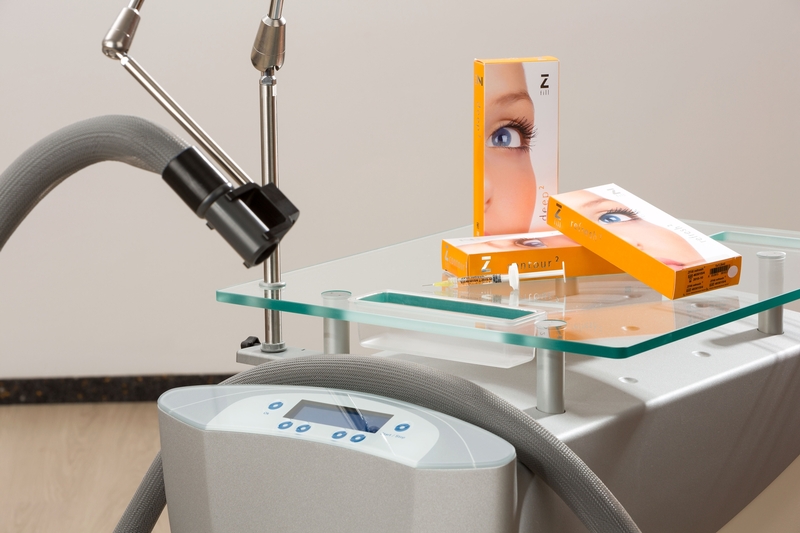 The skin cooling system designed for superficial laser skin procedures. The Cryo 6 Cold Air Device is intended to minimize pain and thermal injury during laser and dermatological treatments and for temporary topical anesthetic relief for injections. The skin cooling system designed for superficial laser skin procedures. 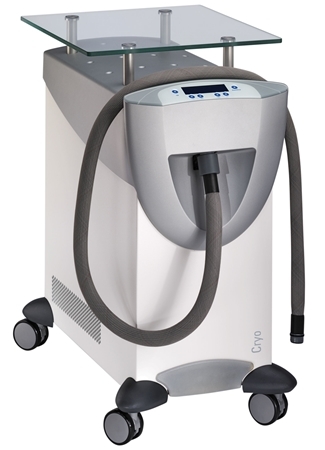 The Cryo 6 Cold Air Device is intended to minimize pain and thermal injury during laser and dermatological treatments and for temporary topical anesthetic relief for injections. Evaluation of Different Temperatures in Cold Air Cooling. With Pulsed-Dye LaserCold air cooling is widely used in dermatological laser therapy. We investigated the influence of cold air cooling at different skin temperatures on therapeutic outcome and side effects of pulsed dye laser treatment of facial telangiectasia. A large display clearly indicates all treatment parameters. Cryo 6 features a tactile glass keyboard, which permits the selection of 6 preset programs. The light weight application hose can be connected to selected laser hand- pieces. The user can easily regulate the air ow as needed. Room air is filtered and cooled down to -30°C by closed cooling circuit. – Cost efficient: no consumable or additional costs – Powerful: full day operation with no downtime. Practical: a custom-designed glass shelf just where you need it – for laser consumables, smoke evacuator or accessories.